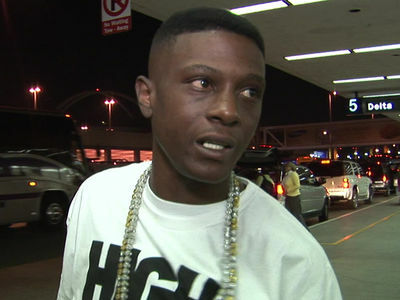 One of the multiple shootings at a Boosie concert was dramatically captured by a drone over the event, and TMZ has obtained the footage. The aerial video shows concertgoers at the back of Boosie's show in Gardena Friday night -- and right in the middle of the crowd you see a man in a blue jacket raise his arm to start shooting. The shots instantly sent everyone running. It's unclear what, if anything, provoked the shooter. It looks and sounds like someone returned fire in this incident. In the video there appear to be multiple people fleeing the scene with weapons in hand. There was at least one other shooting during the concert. We broke the story ... 2 people suffered gunshot wounds, and several others had varying injuries. So far, no one's been arrested.